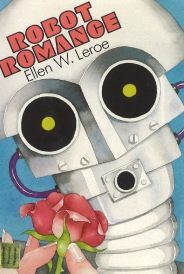 Four stories, both humorous and moving, by four leading Young Adult writers, capture the trials and troubles of finding the right date for the prom, with some help from the school newspaper, a little science, and the boy next door. Original. A cupid-in-training who has been temporarily turned into a mortal girl faces her most difficult mission, to bring love and old-fashioned romance back to Woodside High in time for the junior- senior prom. Bixby Wyler battles against all odds to reconstruct his girl humanoid for NASA’s Mars Landing project. 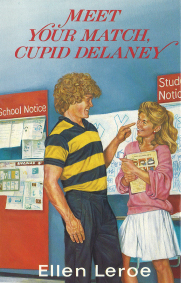 A cupid-in-training is sent by the Love Bureau to New Jersey to match up two unlikely couples in time for the big high school dance. Pandemonium results when creative genius Bixby Wyler enrolls in SilCo High to learn all about computers. only to be blocked by irritating (but oh-so-attractive) Chris Braedon. 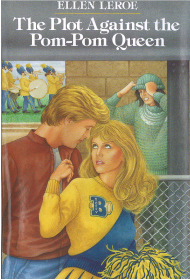 Could she really be falling for the biggest macho jock at school? 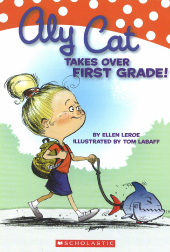 When Taffy Foster, one of the most popular girls in school, humiliates Kelsey Marshall in front of her whole class, Kelsey is determined to have her revenge. 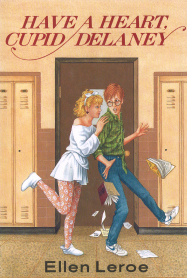 Class clown Blaney Wilder is afraid to reveal her serious side, until a new guy named Josh pushes her to audition for a dramatic part in a play. Will she be able to drop the funny girl mask when she appears on stage? 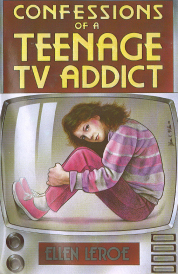 Sixteen-year-old Jennifer Warrens finds that her life has become more exciting and more eventful than those depicted in her favorite soap operas. 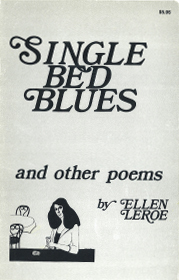 A collection of poems celebrating the adventures of dating in San Francisco. Every princess needs a crown . . . and so do 9 frog princes, 8 fairy godmothers, 7 cockatoos, and more! 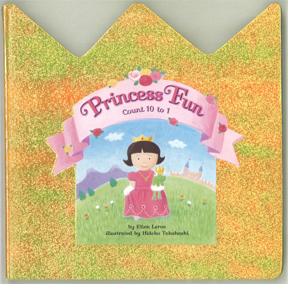 Learn to count from ten to one with fun fairy tale characters. events surrounding the sinking of the Empress of Ireland and the crashes of the Italia and Hindenburg. 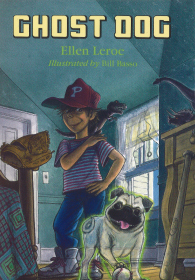 Twelve-year-old Chris and his twin sister Courtney are on their way to visit their uncle Burke in Fiendly Corners. But when they arrive, he’s disappeared— and the mystery deepens upon learning he was on the trail of a mythical Norwegian snow creature called the Draken! the actual creature. Can Matt and Kristen work together to catch the “hairy horror” before they turn into its dinner? 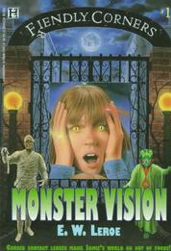 Twelve-year-old Jamie accidentally unleashes the ghost of the dead magician Marco while visiting a creepy cemetery. How can she free herself from his frightening power? Eleven-year-old Bryan Hartley loves pizza. But when the local pizza place offers tiny robots as a promotion, the robots start turning the town into scary Pizza People! Can Bryan save his family before he’s melted cheese and pepperoni? 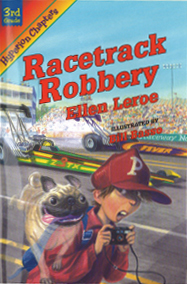 Crime-solving partners Artie Jensen and his invisible poltergeist pug, Ghost Dog, are on the case when an imposter steals the lucky gold pieces of race car superstar Speed Bryant. 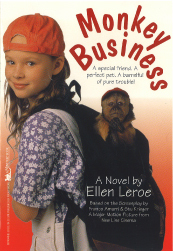 When nine-year-old Eva Boylan discovers a runaway monkey, she names him Dodger and makes up her mind to keep him a secret from her parents— and everyone else. 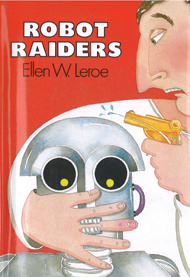 Screenplay novelization. 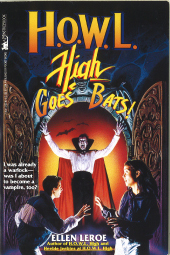 Half-warlock Dragomir Johnson and his friends are invited to the grand opening of Terror Town, a horror film theme park, where they encounter an artifact from the original Dracula’s castle that contains the spirit of the vampire himself. ends up a front-page hero. 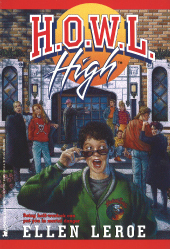 Fang Gang friends to stop an alien invasion of tiny green beings—Heebie Jeebies—from taking control of the school. 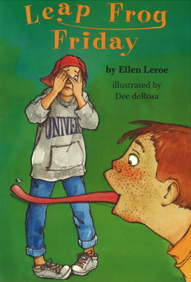 Nine-year-old Oliver’s wish on some magical rocks backfires when he angrily changes his bossy older brother Danny into a frog. Now Danny’s about to take part in the fair’s leap frog competition, and Oliver has to reverse the spell before it’s too late. 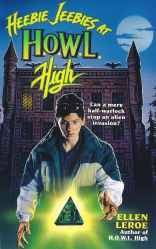 Half-warlock Dragomir “Drac” Johnson has inherited magic powers from his mother’s side of the family, and must use those powers after he’s won the leading role of legendary horror star Rondo Orlac, the Shadow Man, at H.O.W.L. High. There’s only one way for Danny to make his recently divorced mom happy— helping her find Mr. Right by placing an ad in the personals! An ABC Afterschool Special. 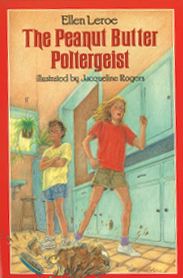 Eleven-year-old M.J. seeks revenge on his obnoxious stepsister by faking evidence of a poltergeist in their summer cottage, only to face the horror of what seems to be a real poltergeist!